The Box Hill Chorale, formerly known as the Box Hill Choral Society, was formed in 1946, and since that time the choir has developed into one of Victoria’s most active community choirs, and has behind it a proud history of performance, both within what now forms the City of Whitehorse, and the wider community. In 1984 the Chorale became a chapter of the Royal Victorian Choir, which traces its origins back to 1868. The community choir of the City of Whitehorse, the Chorale is open to all interested local residents and members of the wider community who have a love of singing and a desire to be part of a vibrant and friendly community choir. Under the direction of award-winning conductor Andrew Wailes, Box Hill Chorale has grown significantly in both size and reputation. Membership currently stands at around 70 voices, and the Choir is today widely regarded as one of Victoria’s leading community choirs. The Chorale performs a wide variety of music, from many different musical styles and traditions, often accompanied by professional orchestral ensembles, instrumentalists and soloists. 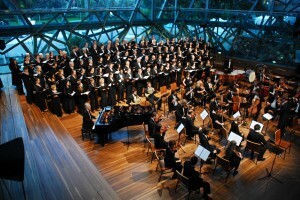 The Chorale has recently performed with other ensembles such as the Royal Melbourne Philharmonic Orchestra, the Melbourne Symphony Orchestra, The Australian Children’s Choir, The Legends of Brass, Australian Catholic University Choir, Hawthorn Band, the Chamber Strings of Melbourne, Camberwell Chorale and the Melbourne University Choral Society. Major works performed have included Beethoven’s Symphony No. 9, Mozart’s Requiem, Haydn’s The Creation, Gounod’s Saint Cecilia Mass, Rutter’s Requiem, Dvorak’s Stabat Mater, and Handel’s Messiah. 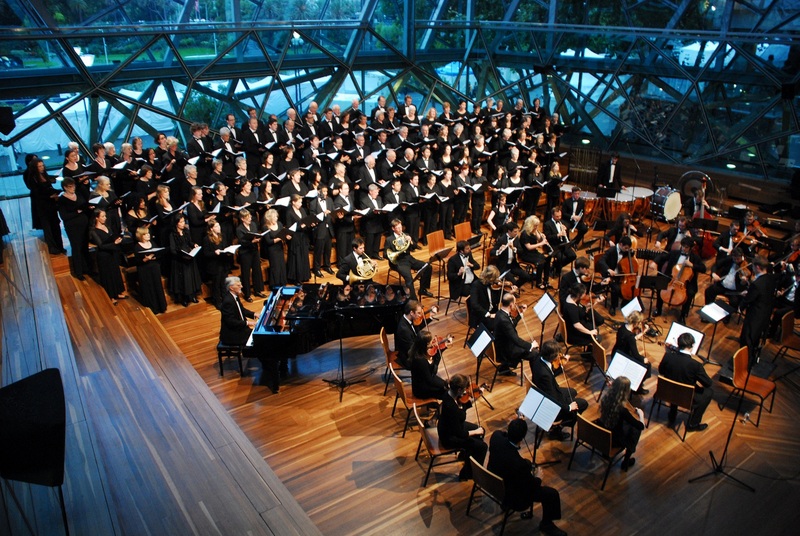 Box Hill Chorale has regularly performed new Australian works written especially for the choir, and has recently presented world premiere performances of major works, including the highly acclaimed ‘Mary MacKillop Mass’ by Nicholas Buc, and the ‘Discovery Symphony’ by Dindy Vaughan, performed in Portland, and at BMW Edge (Federation Square). Both of these performances were filmed and have been produced into DVDs. 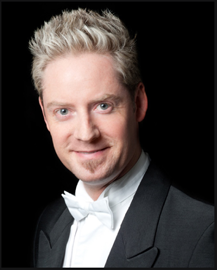 Other Australian works performed in recent times have included several other pieces by Nicholas Buc, (including the cantatas ‘Journey of the Wise Men’, ‘Celebration Lament’ and ‘Centenary Flourish’) and the cantata Five Days Old by Christopher Willcock. As well as presenting a number of its own concerts each year, the Chorale also performs at various local civic and community events. The choir has also given its services to local charities, and in 2005 produced and organised a Tsunami Benefit concert at Box Hill Town Hall which raised over ten thousand dollars for local aid agencies assisting the Tsunami disaster relief operation.The choir has undertaken a number of regional tours in recent years, with performances in various regional towns in central and South Western Victoria and South Australia. These have included a number of performances in conjunction with Music Glenelg in Portland and across the South Australian border in Mount Gambier. 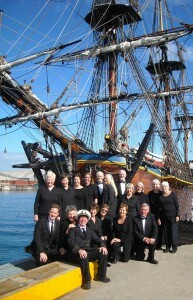 In 2012 the Chorale again toured to Portland (for the visit of HMS Endeavour), and in October visited Beechworth and Wangaratta to present concerts in the Wangaratta Performing Arts Centre and Holy Trinity Cathedral. 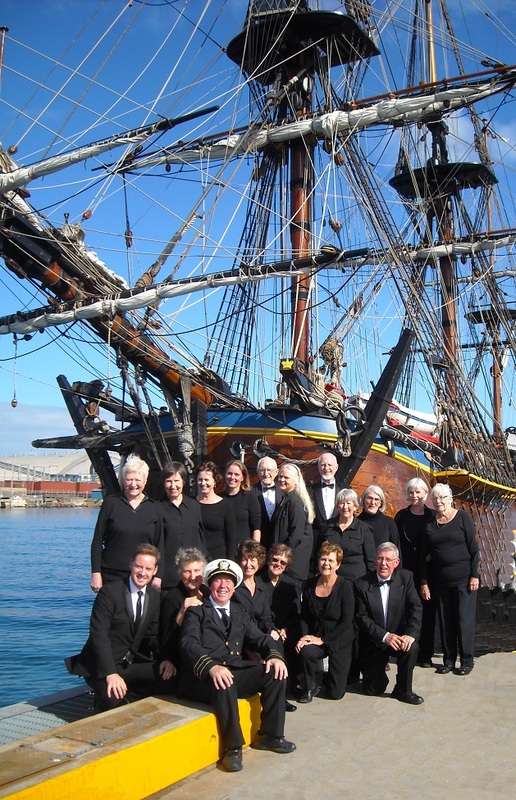 Box Hill Chorale prides itself on its friendly atmosphere, and encourages its members to participate in a number of social events throughout the year. These include interstate and regional tours, a regular monthly bring-a-plate supper during rehearsal, informal dinners on the first Monday immediately following a major concert, and various events organized for members throughout the year. Non-singing partners, and friends are encouraged to participate in many of these social activities, and are welcomed into the life of the Chorale as valued supporters. By joining, you not only become a valued member of a team working together to make beautiful music, but you benefit from the advantages of singing that have been medically proven… singing is actually good for your health! A weekly choir rehearsal can be a great way to improve your well being as a person, meet new friends, and put aside the pressures of modern life. Rehearsing and performing can be a wonderful way to enjoy and experience fine music, and you also get the satisfaction of performing to an appreciative audience!